Carl Liu is the founder of CARLLIU. 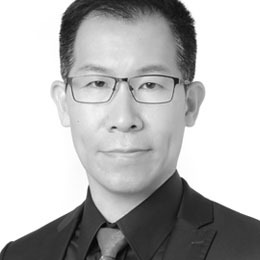 He is currently working as the Design VP of Niu Technologies, a green company which focuses on smart electric urban mobility and sustainable lifestyle, based in Beijing, Shanghai and Changzhou. He earned his design degree from the ArtCenter College of Design. Later, he worked at the award-wining design consultancy Astro Studios and Motorola Advanced Concept Design group before he moved to China. His signature designs included Compaq iPaq PDA and Nike running watch Triax 300/50. Recent designs include a line of electric smart scooters. These products have sold over a half million units and have won international awards such as IDEA, G-Mark, iF and Reddots. His designs have demonstrated that good design matters to successful business. Liu is enthusiastic about elevating the design level in Asia. He has published Carl Liu Design Book and Innovative Product Design Practice since 2005. His books have influenced students and designers in many counties. The books have even become textbooks for many universities in China.